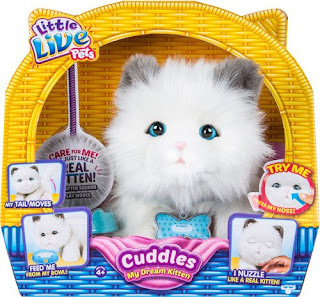 Head over to get this Little Live Pets Cuddles My Dream Kitten for ONLY $28.80 (Retail $54.99)! Cuddles moves and acts just like a real kitten! I purr when I'm happy. Scratch my cheek and I'll cuddle you! My tail moves just like a real kitten.